CEO Dave Elchoness speaks about his product, Tagwhat. The AR browser aims to combine multiple location-based information streams like Foursquare, hyper local Wikipedia entries, social interaction, advertising, virtual goods and more; and all to an uplifting background music. Toby interviews TagWhat’s CEO Dave Elchoness. Total Immersion’s CEO Bruno Uzzan gives his perspective on AR. Read Write Web on the state of the augmented reality union. Augmented Planet sets to define what exactly is mobile augmented reality. 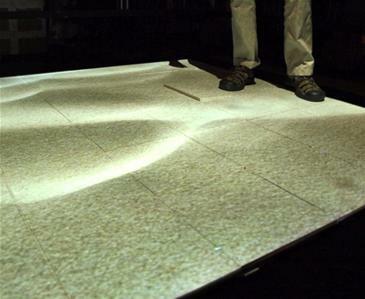 Augmented reality is used to fight phobia of cockroaches (previously used to induce fear of heights). The Museum of London launched an iPhone app that lets you see historic images superimposed on London’s streets (via @chrisgrayson). Layar is used to promote the Prince of Persia movie in the streets of Amsterdam (via DMFO). This week’s video is strange, lacking better words to describe it. It’s a concept video for an AR application named Transumer, described by the video uploader to be “inspired by the anonymous anti-consumerist publication, the coming insurrection, which critiques the downfall of capitalism and proposes a call to arms for a modern day revolution”. Ah, ok.
Augmented reality has come a long way in a years time. Last year I got excited by research projects and gimmicky AR webcam advertising, but that quickly faded on the tenth plus iteration. It wasn’t until July that we starting having real AR products in the form of apps. Nearly a year later and still early in the development of the AR ecosystem, we’re seeing a more diverse use of the technology and that has me excited again. So I want to take a moment to go over ten cool things going on right now in augmented reality. Wikitude, Layar, Tonchidot, Junaio, TagWhat and others hope to be the standard for the AR browser market. Layar has recently upped the ante with an AR content store and TagWhat takes it in a new direction by combining lessons learned with Foursquare and Twitter. I suspect one of the big boys like Google, Twitter or Facebook will eventually either create their own or co-opt the ideas from these early browsers into their current products. I’m not sure which horse to bet on in this race, but in the end we customers are the winners. 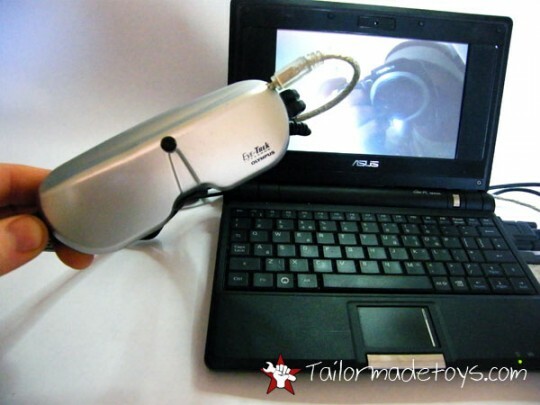 Using an Eye-Trek video headset, the guy at Tailormadetoys made a pair of AR glasses. I love the DIY culture and while they’re not see-through, I think all the right parts to make one are out there. This post from Team Hack-a-Day proves that the DIY makers are getting close, so why can’t one of the big makers get it done? 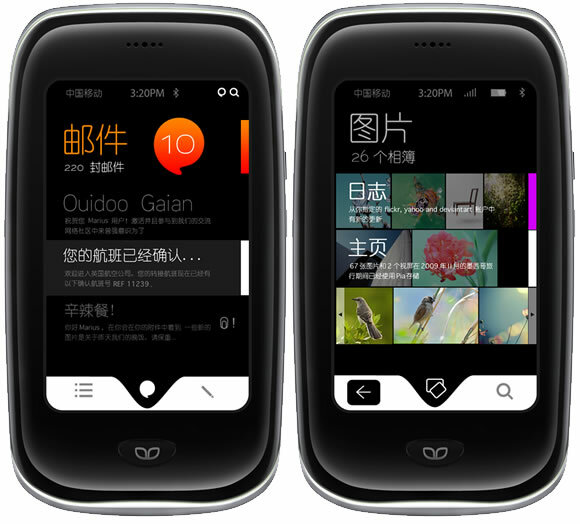 The specs on this Ouidoo QderoPateo smartphone are in the WTF!? zone. While the phone won’t be out until the fall, the company claims it’ll have a 26-core CPU capable of 8-gigaflop floating point operations and include 512MB RAM, 4GB ROM, 28GB of built-in storage, microSD expansion, Bluetooth, WiFi, GPS, built-in 3D map, accelerometer, digital compass, 5-megapixel camera with flash, 220 hours of standby battery life, and a sharp 3.5-inch 800 x 480 screen. Whew. While I’m not completely believing the hype, and it could end up being vaporware, it certainly looks promising. Though it’ll have to work hard to compete with the likes of the iPhone and Droid. Bionic eyes and augmented reality. It’s like peanut better and chocolate! Rob Spence is putting a camera into his eye to make movies with (and because its just plain cool.) And he’s also interested in combining augmented reality with his eye camera. They’ve come up with a promotional AR eyeborg t-shirt in the meantime. Eyeborg’s New AR shirt in action! Bruce Sterling, Will Wright, Marco Tempest, and the list goes on. It pains me to say that I won’t be able to make the inaugural event. I had a work conflict with that week, so I have to bow out of hosting the panel on AR glasses. But for the rest of you, I hope you’ll be able to make it. With AR on the rise and viable business options a-plenty, it’s a good time to network and see what everyone is doing with the nascent technology. This is the “can’t miss” AR event of the year. While the news on the AR drone is a stale few months old, I still think it warrants inclusion because it was a great product. The hovercraft alone was worth the price of admission, but the AR added a creative twist to it. I have no idea if it sold well, but it sure did capture the imaginations of a lot of geeks. Let us know what you think is the coolest thing going in augmented reality right now. Whether it’s a product only hinted at or one currently residing on your smartphone, we’d like to hear it. So let us know here at Games Alfresco in the comment section! It was only a matter of time. Virtual goods make up a $1.4 Billion (that’s with a ‘B’ folks) business and the demand is growing. We have Chinese gold farmers and Farmville exclusive goods, so augmented goods can’t be far behind. 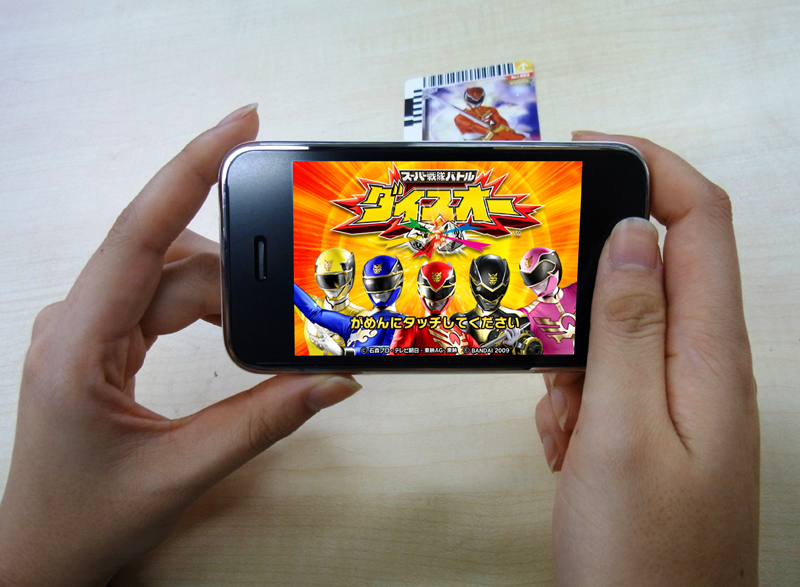 Right now augmented goods are tied to purchased toys as an “add-on.” Metaio has teamed up with Bandai Co. to create AR extensions to their real world collectible cards. I believe the next step will be adding augmented only items that exist in certain locations as a reward. Combine foursquare and Pokemon and you have a potent combination. Hit all fifteen Starbucks in your area and you unlock a “Coffee Critter” that shows up on your smartphone when you’re in the store (and you get a discount on the Double Latte Supreme.) Are you listening TagWhat, Layar, Junaio and the rest? And keep in mind augmented goods as status symbols don’t count unless other people can see them. Other patrons should be able to see your critter following you or floating above your head just like a non-combat pet in World of Warcraft. Trust me, people will go to unbelievable lengths to earn a baby dragon or talking penguin. Value is all about scarcity and that works even in the virtual or augmented world. Dave Elchoness from Iryss, recently sat with me (virtually) to provide more details behind the scenes of the recent launch of Tagwhat. Games Alfresco: Hi Dave! and thank for taking the time off your busy launch of Tagwhat for an interview with Games Alfresco. How did you and Iryss get into Augmented Reality in the first place? Dave: Thank you so much for the opportunity, Ori. We were among the first developers in the world on the Layar browser. As GoWeb3D, we developed a number of the more popular layers including Wikipedia, FlickAR, Eat, Drink, Mazda, and UDR Real Estate. In the second half of 2009, we decided to create our own proprietary AR platform. It was then that we renamed ourselves Iryss to better reflect our new business focus. In November, we demonstrated the integration of Iryss’ AR platform with active RFID (RTLS) data. Once we saw how we could deliver that data to the enterprise in AR via a very inexpensive consumer mobile device, we knew we have something exciting on our hands. We demonstrated that technology in the military training context (to track soldiers via AR as they moved through the training environment) but there are compelling applications in virtually every market from military, to healthcare, and retail. The feedback to our technology was tremendous as we could immediately replace laptops and cumbersome harness systems with a single consumer device loaded with the Iryss platform. We could equip every user of our technology with an unparalleled awareness of their surroundings as well as the ability to easily communicate with the added dimension of geo-contextual information using a commercially available mobile device. Games Alfresco: What exactly have you just launched with TagWhat? Who’s the target audience for this new product/service? Dave: We have launched something very special and unique. Tagwhat is a create and share mobile AR system that is easy to use, fast, and free. Basically, Tagwhat allows users to place mobile AR through a robust on-line map interface or via mobile AR. They can attach multimedia, URL’s, phone numbers, and e-mail addresses to the AR tags, all of which are immediately accessible and can be directly launched from the mobile. What makes Tagwhat particularly compelling is that it applies social media principles for interaction. Users follow others in Tagwhat, thereby merging those users’ AR streams into theirs. Sort of like a Twitter stream. Users can place AR anywhere in the world, send their followers ‘for their eyes only’ directed tags, and comment on the tags of other users. We have also provided each user with a media center and private messaging service. Privacy is very important to us at Iryss. If users only want to share their information and tags with specific friends, they can do that. If they want to share their lives with everyone in the world, they can do that too. This not only protects our users, but also helps ensure that every Tagwhat experience is filled with pertinent data. The target audience is tremendous. Since our launch, we have met with industry experts ranging from museum directors, to teachers, to writers, to social media experts, to mothers, to local business owners, and each of them has described completely different but equally powerful ways that they are planning on using Tagwhat to reach THEIR target audiences. After each meeting, we continually realize that we are dealing with much more than just a product, we’re building a protocol that’s letting people share information and communicate with their surroundings and each other in a way that has never before been possible. We are finding that Tagwhat’s intuitive way of viewing and processing information is a natural extension of people’s everyday lives. Because of this, Tagwhat is not only understandable, but more importantly, highly accessible for those who aren’t the most technologically savvy. Games Alfresco: Tell us a little about the team behind it? Anything you can share about the development process? The technical challenges? Dave: The founders are Don Cramer, Angus Shee, and me. Don is our CIO, an IT and development guru. Someone I met in Second Life as a technical wiz, everything that Tagwhat is technically, is due to Don’s amazing skill and work ethic. He is one of a kind. Angus is our CTO. A very accomplished engineer, Angus is able to combine the big picture with the finer details that are an important part of implementation. In my experience, that’s a rare combination. As for me, my background is as an attorney and executive. The majority of what I do is establish and articulate the vision for Iryss and Tagwhat. Development is an extremely iterative process. We believe in functionality and simplicity. As one of the earliest in the consumer augmented reality space, we have numerous lessons-learned that are unique to augmented reality. The Tagwhat experience needs to make sense and every function needs to be useful. We use our product incessantly, look for feedback from our testers, and integrate the best changes immediately. There are lots of challenges. Don puts the scare in them and they go away. Games Alfresco: How do you differentiate Tagwhat from other social AR browsers such as Metaio’s Junaio, Tonchidot, and others? Dave: Tagwhat is unique, period. I can’t speak for other technologies, but I don’t see Tagwhat as another AR browser. Tagwhat is a lot of things including a creation and distribution system, a communications protocol, and a social network. We have structured Tagwhat so that each of these aspects works hand in hand with the others. No functionality is an after-thought or just there for its “cool-factor.” Everything is truly integrated such that each functionality is made better because of the others. To be able to create an information-rich augmented reality tag, tie it to a relevant geographic location like your favorite restaurant, share it with your friends, have a threaded conversation about what they think or what they’re bringing, and then have everyone use the original tag to get turn-by-turn directions from all of their unique locations, text if they’re running late, or browse the menu on their way over is a mind-blowingly powerful experience. Something we dreamed about before Tagwhat. And there’s much more to come including partnerships with some great companies integrating their own content rich Channels, a Rewards system that seamlessly integrates local as well as national businesses which we believe will revolutionize e-commerce, and quite a bit more. Games Alfresco: How do you see TagWhat evolving in the future? Iryss evolving? Dave: Tagwhat will evolve first as a consumer application as we ‘plug in’ a ton of geo-contextual data that people will want to use. We are moving into a phase of showing new users ‘how/why’ one uses Tagwhat (keep your eye out for a great video series in the next couple weeks). As I mentioned earlier, we’re really not fans of technology that isn’t practical, usable, and enriching in our daily lives and we’re looking to show how different unique users incorporate Tagwhat into their lives. As our consumer products mature, we will continue development on the enterprise side. We see a significant synergy with the Iryss/Tagwhat platforms and enterprise requirements of countless industry verticals and think that organizations will be very interested as they see the impact Tagwhat will have on the consumer market. At least that’s how things are sketched out today. Games Alfresco: So how can we get started with Tagwhat? Dave: I hope Games Alfresco readers take a look at Tagwhat on-line and in the Android marketplace. We anticipate an iPhone 3GS release in the coming weeks. For Games Alfresco readers, please input beta invitation code beta46 for access – and feel free to invite some of your friends. Thanks very much for this opportunity. We’ve been Games Alfresco fans for some time. Games Alfresco: Many thanks for sharing, Dave and good luck with Tagwhat! Dave Elchoness will be speaking at the upcoming Augmented Reality Event (June 2-3, 2010 – Santa Clara Convention Center, California) among a great lineup of AR industry speakers. Only a few discount tickets are left – so use code AR245 and register Today. Forgive me for posting this on April 1st. I feel like anything on the Internet is suspect today. Tagwhat is a new kind of social network focused on creating and distributing mobile augmented reality. 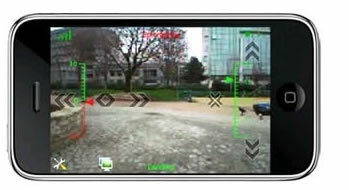 Mobile augmented reality, or AR, is a new way of displaying information in the mobile device, at the user’s location, over the live camera view of the mobile device. Essentially, but placing data over real life, we ‘augment’ reality in ways that hopefully make your life richer. In Tagwhat, we interact with maps to place text, urls, photos, or videos anywhere on the globe. By following others in Tagwhat, users are able to merge the AR worlds of others’ with their own to form a completely unique social experience. Beyond a status update or a location check-in, Tagwhat is a brand new way of reaching friends, communicating, socializing, delivering information, entertaining, and learning. Tagwhat’s approach means higher quality interaction with brands, companies, customers, students, viewers, fans, and visitors. The possibilities for you to discover and invent, meet and connect, are endless.